Young athletes from our clubs savoured the moment last Friday evening as they joined the action at Glasgow 2019. 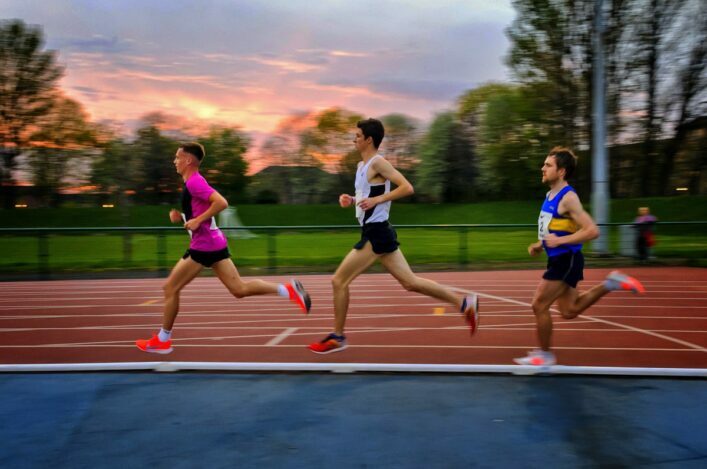 It was the final stage of our Club Relays events over 4 x 200m with finals taking place in three age groups – on the opening night of the European Indoors. 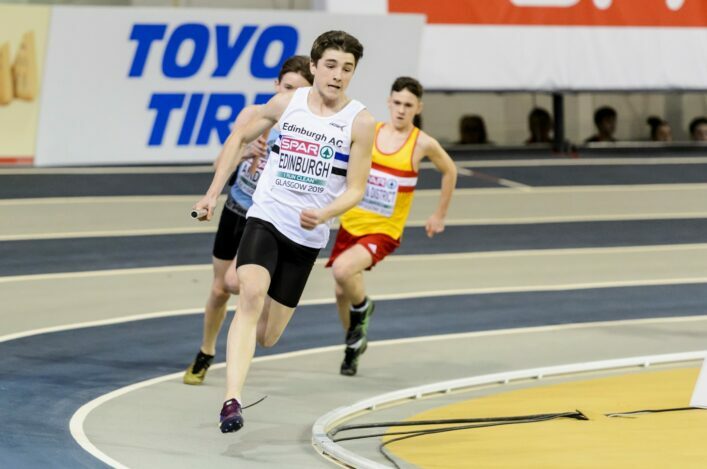 Giffnock North AC took three of the titles across the U17, U15 and U13 categories while Edinburgh AC won two of the six sets of gold medals on offer. There were National Records at U15 Girls for VP-Glasgow A and at U17 Women for Giffnock North A. 1 Giffnock North 1.55.89; 2 Dunfermline 1.57.09; 3 VP-Glasgow 1.57.44. The 49th running of the Allan Scally Relay saw a new venue and a new format, with generous sponsorship from Webhelp, retail partner Run4it and support from Glasgow Sports Council for the Shettleston Harriers event. The race saw 91 teams finish after 104 had started. National XC champions Central AC took the men’s cup, adding to their win in 2012. Alastair Hay, a great servant to his club, put his club into the lead on the first leg recording the fastest time of the day of 14.51 with a strong wind slowing him on the return section of the race. 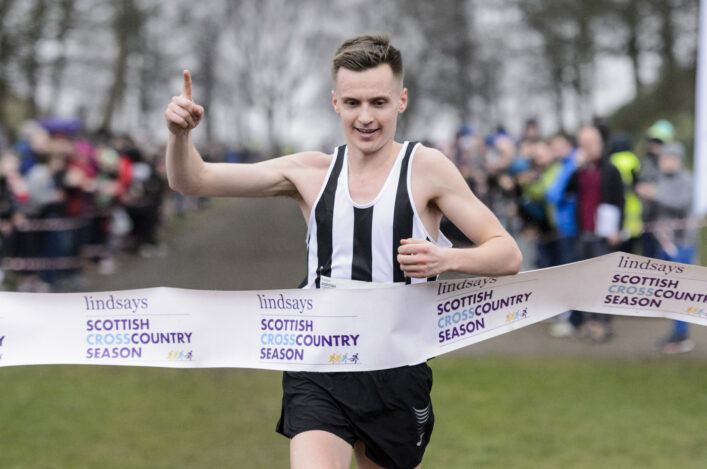 Central AC then went on to win with Hamish Hickey, Conan McCaugh and Dale Colley pulling away from host club Shettleston Harriers with Edinburgh University taking third place and the Scottish Students Relay title . Edinburgh AC took the M40 prize with Cumbernauld AC the M50 title. It was a case of turning the tables in the ladies race when Shettleston Harriers came out in top from a Central AC team.Both teams had a strong international flavour to their teams with ,Irish internationalist, Fionnuala Ross (Shettleston) and ,Commonwealth games athlete, Morag Millar (Central AC) both running the last leg for their teams. Student team Glasgow University took third place adding the Scottish Students title to their collection. Racing in a composite team, Kilbarchan’s Elspeth Curran ran the fastest leg at 16.34. 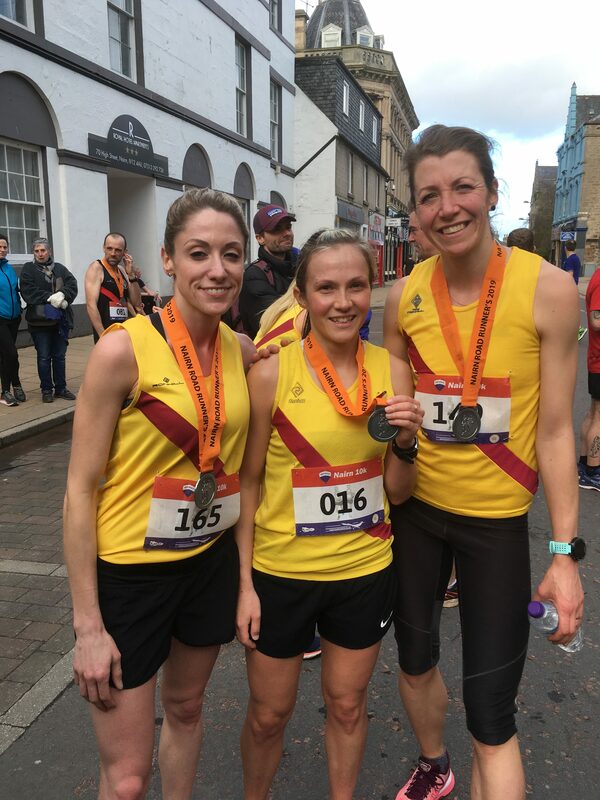 Inverness Harriers dominated the Nairn 10K, with a clean sweep of all the main race prizes and the majority of the North District Championship medals also on offer. 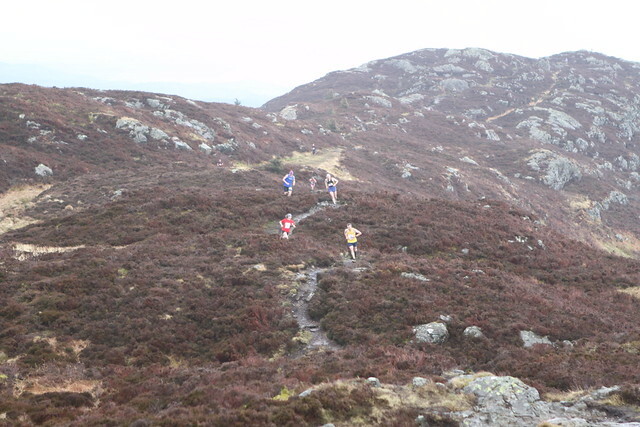 The Inverness club’s Scotland road racing internationalists John Newsom (32:27) and Jenny Bannerman (35:53) ran out winners of both race and District titles. With a strong wind challenging times, Donnie MacDonald (32:43) who won District silver and Masters 40 gold, was next across the line. He was followed by a third Inverness runner, Gordon Lennox (33:27), but District bronze went to Tom Roche of Garioch Gazelles (33:46). The women’s runner up was Amy Hudson (38:30) with ex-Great Britain 400m runner Lesley Hansen (formerly Clarkson) next to finish in 39:55. However District bronze went to Caroline Marwick (40:05) who completed an Inverness clean sweep of the top four women in the race. The masters’ W40 title went to Moray Road Runner Michelle Slater (41:52).